Vendor Neutral Archive is so-called vendor neutrality, is a medical imaging technology in which images and documents are stored in a standard format such that other systems can access them in a vendor-neutral manner and picture archiving and communication system is also a medical imaging technology which provides economical storage and convenient access to images from multiple types. Digital imaging and communications in medicine is the universal format for PACS image storage and transfer. Among the different types of segmentation of Vendor Neutral Archive (VNA) & PACS Market, on-premise holds the most significant share in the market due to its better control and secure sharing of the data. The market share is expected to reach USD 4.3 billion with a CAGR of 5.8% by 2024. North America holds the most massive size in the Vendor Neutral Archive (VNA) & PACS Market due to the increasing adoption of information technology, and Europe is expected to have the tremendous growth in the market in the coming years. 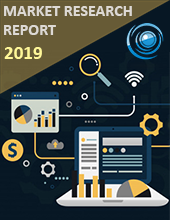 The significant factors that drive the growth of the market are growing demand for the standard based storage, the presence of favourable government regulations, data recovery and the lifecycle management. VNA and PACS segment vendor Neutral Archive (VNA) & PACS Market. VNA is further segmented into the delivery mode, vendors, and business model. PACS is classified into business mode, delivery mode, and component. Many of the healthcare industries are trying to implement the new technology to increase the share of Vendor Neutral Archive (VNA) & PACS Market. Europe is expected to have the tremendous CAGR in the market during the forecast period due to the rising need to control the increasing health costs. Computed Tomography is the product by GE Healthcare that is used to provide the information in vascular care and McKesson Corporation ranked 5th on the FORTUNE 500, is a global leader in the healthcare information technology.